Police in New Hampshire are looking for a man who allegedly broke a glass door at a Popeye's Chicken after he was told his order wouldn't be ready for another five to 10 minutes. 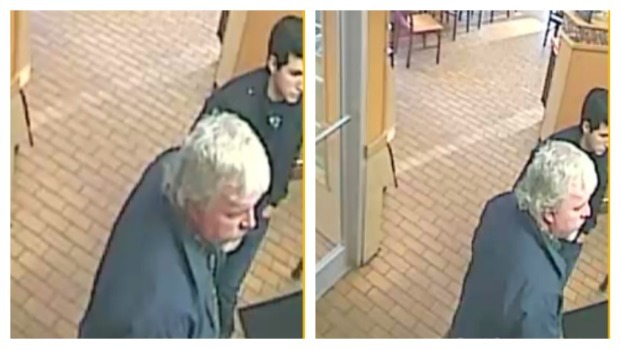 Salem police said an older man with white hair entered the Popeye's on Route 28 around 6 p.m. on Wednesday and ordered some fried chicken. When he was told that his food wouldn't immediately be ready to eat, he stormed out of the restaurant and kicked the door, smashing the glass. While police are hoping to find the suspect to make him pay for the damage, they also had a little fun with the incident, saying in a press release, "Why did this guy run away? Because he is chicken." Salem police are seeking this suspect in a Popeye's Chicken vandalism case. Anyone with information on the suspect is asked to call Officer Scott Naismith at 603-893-1911.